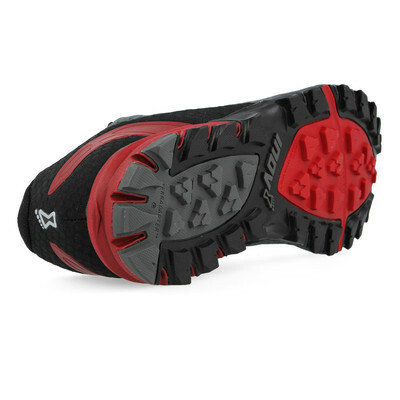 The super-lightweight Trailtalon 235 is designed for fast running on all types of trails around the world. This updated shoe delivers the perfect, flexible fit with increased protection and support. New features include an external heel cage for support and a welded film toe bumper for enhanced protection. 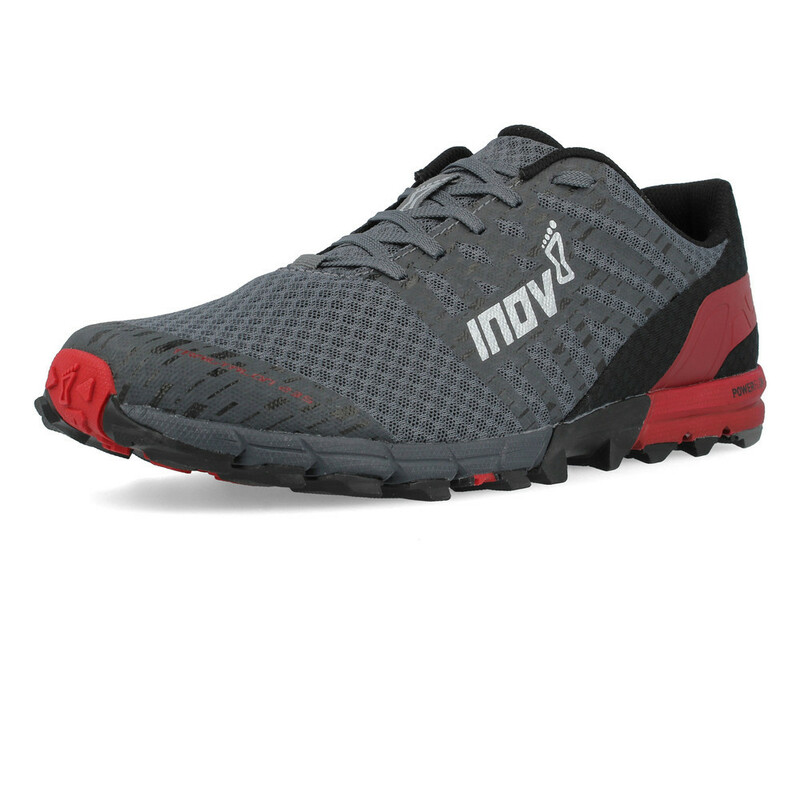 "The perfect trail running shoes for my need! The treading worked very well on the muddy trails, yet not too deep that it's still comfortable to wear on normal road. Light weight and super comfortable. Bought one for myself one for my son. Husband wanted one too but his size was out of stock"
"Fit to size and nice and light. 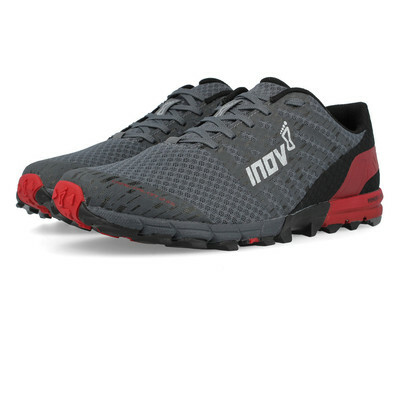 Perfect for fast trail running." The upper of the Trailtalon 235 features a breathable mesh upper that encases your foot in breathable comfort. 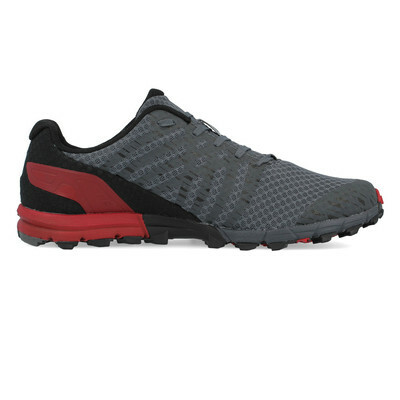 The mesh allows air to fully permeate the entire upper of the shoes providing a constant supply of cool, fresh air whilst at the same pushing out hot, muggy air that lays within the shoes during heavy exertion. In addition, the new external heel cage wraps around the rear of the shoe and provides support in the heel. Delivering this extra hold aids foot stability and helps a fatigues runner maintains a better gait. A rubber toe bumper protects the toes from sharp rocks and stones, while a gusseted tongue prevents debris from entering the shoe. Further protection comes from on the shoe gaiter hooks that offer a more secure attachment system that allows you to attach an all terrain gaiter to the shoe (sold separately). The Powerflow midsole delivers 10% better shock absorption and 15% better energy return than standard midsole units. The Powerflow works by absorbing the energy caused by shock and impact forces through the heel strike phase of the gait cycle. At this point, the midsole unit transfers the harnessed energy to the forefoot area where it pushes you off into your next step providing exceptional energy return. The outsole utilises three sticky rubber compounds that increase grip and durability. The hardest, most durable rubber is on the heel where you heel strike as the most force comes through this point. 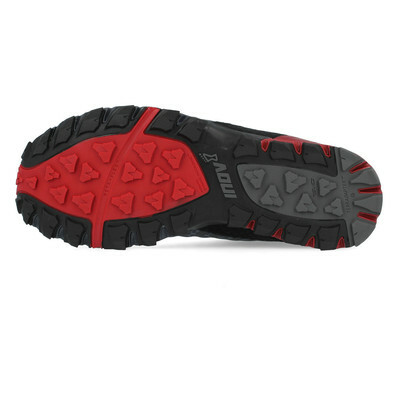 A medium rubber is featured up the centre of the shoes for increased traction with a softer rubber on the edges for grip and security with every stride. Additionally, the outsole offers multi-directional 4mm deep lugs, each with a wide contact area, providing aggressive grip, excellent stability and the quick release of any debris. Founded in 2003, Inov8 is one of the world's leading all-terrain footwear, apparel and equipment brands. Operating in over 60 countries, they pride themselves on designing high quality, innovative products in both the running and performance training sectors. External Heel Cage - Delivers extra hold and aids foot stability. On The Shoes Gaiter Hooks - Provides a more secure attachment system. Multi-Directional 4mm Deep Lugs - Provide aggressive grip, excellent stability and the quick release of debris.